Backyard Tire Fire never fails to impress, and the band is back! The new album "Good To Be" is set to be released in February on the band's Kelsey Street Records label. Los Lobos' Steve Berlin produced the album and joins in on every track of "Good To Be." "Good to Be" is a culmination of guitarist/vocalist, Ed Anderson’s thirteen year journey on the road of rock and roll. 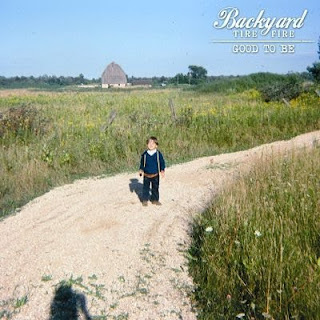 For the band’s fifth full length release, Backyard Tire Fire delivers an album full of working-man songs that provide an upbeat, glass half full approach to life. Drawing on inspiration from everyday events, Anderson weaves his way through the fabric of life making a patchwork of eleven songs that bear the message of empathy, humanity and hope. 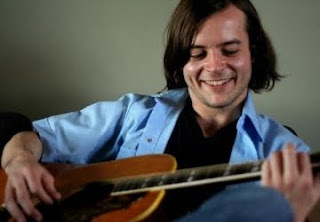 Jonny Burke "The Long Haul EP"
Jonny Burke is one of the most talented newcomers on the Americana music scene. His new 5-song recording, "The Long Haul EP" showcases a musician who is comfortable in his own skin. Burke's voice has a quality reminiscent of Tom Petty, and his laid-back musical style is warm and familiar. "The Long Haul EP" also offers compelling lyrics and superb musicianship. In short, "The Long Haul EP" is a winner. About "The Long Haul EP" and musician Jonny Burke: The EP encompasses 5 unforgettable songs. On the opening track, "Lost in the Forest," Jonny gives a rousing call for endurance over an infectious guitar hook. "Make it for You" could have been written by Roy Orison in the 1950's, and arranged by Jeff Tweedy in the 90's. "Ship Come In," (which features a guest appearance by The Band of Heathens), is a Stone-sy rocker whose extended verses pack a punch. Taylor Swift has had the best week in her music career with a high rated appearance on Saturday Night Live, big wins at the CMAs and a successful concert tour. Now, Taylor, who has appeared on several magazine covers over the past year, has graced the cover of the upcoming December issue of InStyle Magazine. Other covers included Rolling Stone, Billboard, Glamour (the title’s biggest-selling issue of the year), Allure, People StyleWatch, Redbook, Seventeen, and Teen Vogue. Taylor Swift walked away from last night’s 43rd Annual CMA Awards ceremony as the history-making winner of FOUR CMA Awards, including the industry’s biggest honor – Entertainer of the Year. For a limited time, download a CMA nominated song free! Yes, completely free. 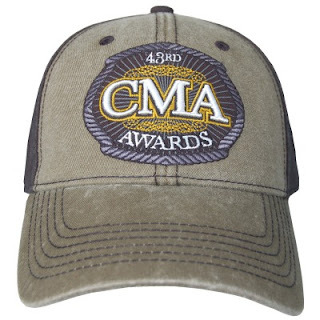 Use claim code CMAAWARD to get a single song priced at $1.29 or less by any CMA Award nominee. UPDATE: This offer is now over. Choose a song from the following Country Music Award nominees. They include Kenny Chesney, Brad Paisley, George Strait, Taylor Swift, Keith Urban, Miranda Lambert, Martina McBride, Reba McEntire, Carrie Underwood, Darius Rucker, Randy Houser, Jamey Johnson, Jake Owen, Zac Brown Band, Eagles, Lady Antebellum, Little Big Town, Rascal Flatts, Big & Rich, Brooks & Dunn, Joey & Rory, Montgomery Gentry, Billy Currington & Sugarland. The 43rd Annual CMA Awards were a huge success with more than 16 million viewers. So tell your friends about this exceptional offer. Happy downloading.